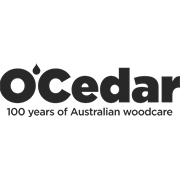 O'Cedar Outdoor Timber Care revives, protects and nourishes your outdoor wood surfaces including outdoor furniture, decking and woodwork. It is silicone free and gives all types of wood a natural, rich grow. Spray a small amount onto the surface and spread with a dry, soft, clean cloth. Always wash hands before smoking, eating or using the toilet. Protective eyewear is not normally necessary when using this product.